This is the time to get that eyewear you love for your next trip! 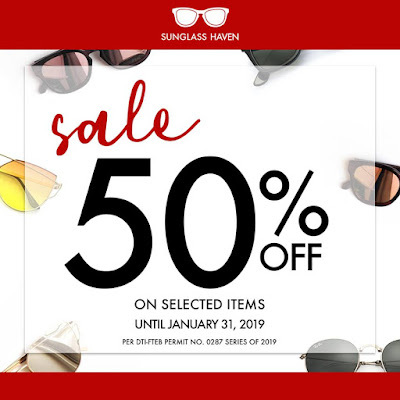 Check out Sunglass Haven End of Season SALE. Enjoy up to 50% off on your favorite brands until January 31, 2019 in all Sunglass Haven branches.